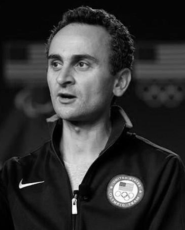 Mounir Zok is the Director of Technology and Innovation for the U.S. Olympic Committee and brings emerging technologies to Team USA. He sets up and runs these technologies to increase the medalling chances of the Team USA athletes in the Olympic and Paralympic games. and Lean Startup methodologies. For this reason he is also Executive Advisor at PodiumSV, an early stage venture capital fund, startup accelerator and global community across sports technology, media and entertainment, based in Silicon Valley. MC of iSport Forum for the second time. Eddy is a born communicator at the service of companies and Institutions that need to transmit a message, an attitude or a vision. With over 25 years’ experience as master of ceremonies, host, broadcaster and performer. He also had the privilege of working with many celebrities such as Brad Pitt, Mel Gibson, Will Smith, Morgan Freeman, Hugh Jackman, Jennifer Lawrence, Nicole Kidman and George Clooney. advice to organisations such as the Spanish Basketball Federation (FEB) with the 2014 World Cup; The Royal Spanish Football Federation (RFEF) with its plan to internationalise schools; The Iberian candidacy to the World Cup of 2018 and 2022, and Go Fit in the definition of its operational model. He is Currently the Strategic Planning & Innovation Director for Football Club Barcelona and has the role of defining FC Barcelonas 2015-2021 Strategic Plan. Javier Sobrino has to watch over the fulfillment of a project that contemplates that Barça reaches a turnover of 1 billion euros at the close of the campaign 2020-2021. Among the planned initiatives is the inauguration of the Espai Barça, as well as the creation of franchises of indoor football and women football in the United States. 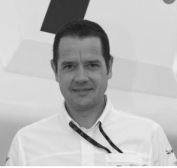 Fernando has developed his career in the area of Leisure, Entertainment and Sports of Deloitte since 1990 and is currently Partner Responsible for Sports and eSports at Deloitte. Soccer Clubs. 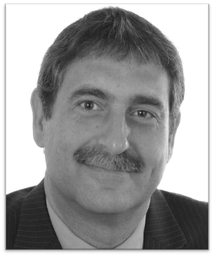 He has extensive national and international experience having worked in the offices of Madrid, Barcelona, Chicago and New York. 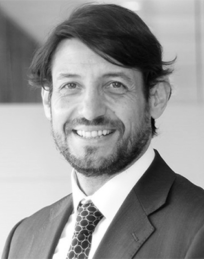 He holds a degree in Computer Engineering from the Universidad Pontificia de Comillas (ICAI) and has completed the IESE Senior Management Program (PADE) and the CENEI (Computer Audit Master). athletes such as Rafa Nadal and Carlos Saiz among many others. 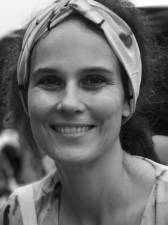 She has worked in renowned hospitals like Clinica Planas and Teknon in Barcelona managing the Department of nutrition and is currently coordinating and directing the nutrition department of Juaneda Sport Health Clinic, being also the nutritionist of the Rafa Nadal Academy. Pau Serracanta Marcet graduated in Law from the University of Barcelona, in Communication from the Autonomous University of Barcelona, in Business Management from IESE and from an Executive Program in Singularity University (Silicon Valley). In 1999, he started working at Dorna Sports, company in which he manages the commercial and TV rights of the World MotoGP, Superbikes and Spanish Speed Championships. He is also partner and general director of the commercial area. As a serial entrepreneur, Cedric has 15 years of experience with Telecommunications and Internet companies. He is passionate about services in the mobile arena and is widely regarded as a product visionary. 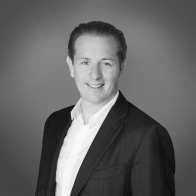 Cedric is also known as a successful Business Angel with a solid investment track record in European companies. With a dedicated software engineering team in Belarus, Cedric has been able to setup a powerful technology Lab that enables ideas and innovations to become a reality. He is today CEO and co-founder of PIQ Sport Intelligence and Octonion delivering new mobile experience with sensors and clouds connectivity. Octonion is a 3 layers IoT platform and PIQ is the first vertical of Octonion dedicated to Sport. 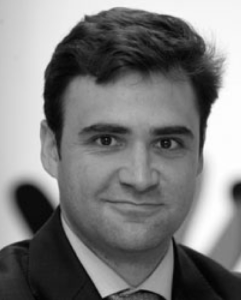 Cédric was previously heading the Value Added Services at HTC Group where he seats at the CEO Management Board. His work at HTC included building new global content and service experiences like the “HTC Blinkfeed”.